Happy are those who live pure lives, who follow the Lord's teachings. 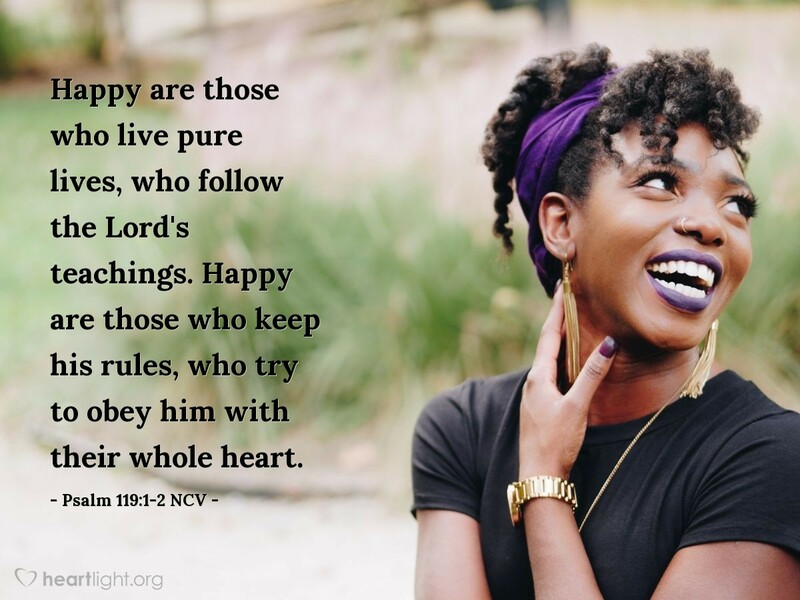 Happy are those who keep his rules, who try to obey him with their whole heart. Lord, please forgive me, because I have lived much of life in pursuit of personal comfort and pleasure instead of living in daily fellowship with You and obedience to Your commands. That lifestyle has left me depressed and disjointed, and I'm ready to do life Your way. Give me a willing heart, eager to follow Your ways and live by Your commands. Help me to live a life of purity from now on, Lord, and forgive me for all my past failures. Lead the way, Lord, and I will do my best to follow. In Jesus' Name, Amen.